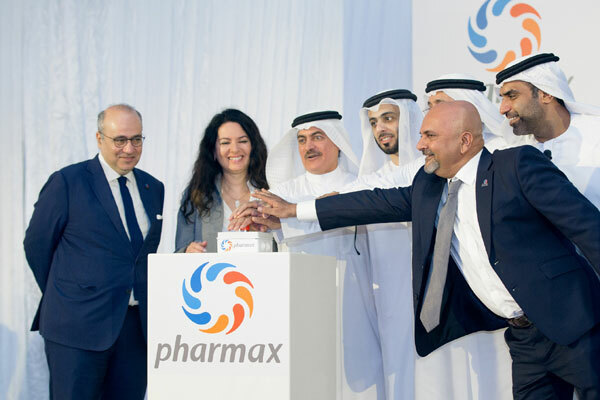 UAE-based Pharmax Pharmaceuticals (Pharmax), a GMP-licensed international manufacturer and distributor of medications, has announced the opening of its new production facility at Dubai Science Park (DSP). The plant, which has been built at an investment of Dh125 million ($34.1 million), will have an annual production capacity of over 200 million tablet and capsule dosage forms and is dedicated to the manufacturing and commercialisation of pharmaceuticals that target chronic conditions prevalent in the Middle East. Construction of the facility began in 2015 as a joint venture between Al Ittihad Drug Store, a distributor of medicines in the UAE, and two of the largest pharmaceutical manufacturing companies in Morocco - Cooper Pharma and Bottu Pharmaceuticals. The opening ceremony was attended by Dr Amin Hussain Al Amiri, the assistant undersecretary of Public Health Policy & Licensing at the Ministry of Health and Prevention, Dr Younis Kazim, the chief executive of Dubai Healthcare Corporation, Malek Al Malek, group CEO of Tecom, Ahmad Tabari, chairman of the board of directors at Pharmax, Lamia Berrada, chairman of the managing board at Bottu Pharmaceuticals and Ayman Cheikh-Lahlou, chief executive officer at Cooper Pharma. Marwan Abdulaziz Janahi, the managing director of Dubai Science Park and chairing member of the Pharmaceuticals and Medical Equipment Taskforce of the Dubai Industrial Strategy 2030, said: "Our region currently imports more than 80 per cent of pharmaceuticals from abroad." "At the same time, technological advancements, an increase in R&D capacities and talent availability, state-of-the-art infrastructure, proximity to emerging markets, and a favourable policy framework present us with a unique opportunity to enhance our domestic manufacturing capabilities," he noted. On the new manufacturing facility, Pharmax CEO Madhukar Tanna said: "We are proud to be part of DSP’s vibrant business community, and are confident that now is the perfect time to launch Pharmax in the region. Our company is fully aligned with the Dubai Industrial Strategy 2030 that, among other objectives, seeks to reduce the country’s reliance on imports of pharmaceutical products." The support the business has received from Dubai Science Park, the Ministry of Health and Prevention, and local health authorities has been vital in reaching today’s milestone – the official inauguration of the Pharmax factory, he stated. "We are now able to locally produce medication for cardiovascular diseases, psychiatric and neurological disorders, gastroenterological diseases, metabolic disorders such as hyperlipidaemia and diabetes, central nervous system diseases, bacterial and viral infectious diseases, respiratory illnesses, asthma and allergies, bone and joint inflammation disorders, and urological diseases," he noted. This will significantly reduce the dependence on imports of related products from abroad, said Tanna.